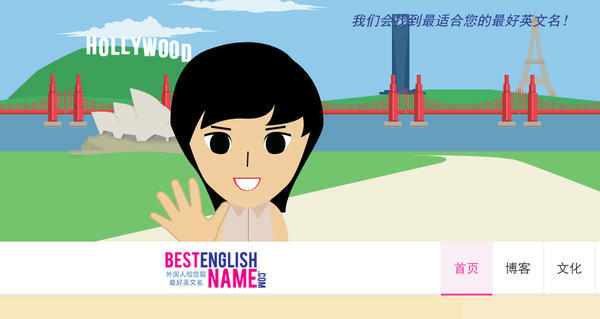 The website bestenglishname.com uses the answers to questions about subjects such as music, sports and personal style to generate suitable English names. Lindsay Jernigan, 25, started bestenglishname.com. The service costs $2.50 and Jernigan says about 2,000 people have used it so far. Phat Song chose his own English name years ago, after drinking with a bunch of Americans in a Beijing bar. He says no matter how you spell it, it suits him. "Phat" — or cool — is the first American slang he learned. And, he adds, "I'm F-A-T."
Cinderella. Billboard. Mo Money. Lady Gaga. They are a few of the unusual English names young Chinese have adopted over the years in hopes of mixing more easily with Westerners. Such offbeat names, though, sometimes have the opposite effect, generating puzzlement and the wrong kind of smiles. Lindsay Jernigan, an American entrepreneur, has set up a new website, bestenglishname.com, to help Chinese choose more appropriate names. 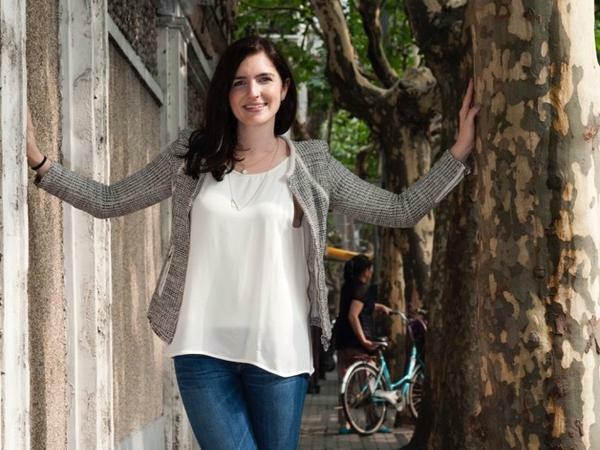 Jernigan, 25, noticed a need for the service while working in her first job in Shanghai. She said some female colleagues were using English names that were inappropriate — and they didn't know it. "These names that we would see (as) 'stripper' names for really smart young women," Jernigan recalls recently at her office in Shanghai. "So, I've heard a lot of people laughing about the 'Candy' and the 'Cherry' ... 'Sapphire,' 'Twinkle.'" Instead of facilitating communication, Jernigan says, other names that the Chinese chose just sowed confusion. For instance, she had a co-worker named "Eleven." "Scheduling meetings at 10:30 and then saying that 'Eleven' was coming was causing a lot of issues," Jernigan says. Foreign colleagues rolled their eyes and asked Eleven if they could just call her by her Chinese name. Jernigan's website offers customers a quiz that uses an algorithm to generate five suitable names. Users are asked to choose their favorite sport, music and personal style: Are you more like Zac Efron or Justin Bieber? Users can put in their birthdays, professions and choose whether they want a name that's easy to pronounce. Jernigan says the service costs about $2.50 and has drawn more than 2,000 customers. Recently, Jernigan, who grew up in Memphis and London, let me take the quiz. We used my Mandarin name, "Feiteng," which means "fly swiftly upward." Among the English names the website suggested for me were "Drew," "Tate" and "Julian." Scott Kronick, who runs Ogilvy Public Relations in China and throughout Asia Pacific, has spent more than two decades in China and overseen thousands of Chinese staff. Along the way, he has heard a lot of unconventional names. "There were people who selected their names for times of the year, so we had a 'January,' 'February,' 'April,' 'May,' 'June,' 'Spring,' 'July,'" Kronick recalls. "We had a 'Popeye' and there's a 'Robin Hood.' "
Popeye was a very popular cartoon in China in the 1990s, so that makes some sense, but where did these other strange names come from? Kronick wrote about the phenomenon in his book, The Lighter Side of China. He thinks foreign teachers assigned some of these names to students as kind of a joke. "I think the English teachers that were here during the time were really having some fun," Kronick says. "I can't imagine where — we have a staff member named 'Morphine' — got his name." Kronick's favorite English name, though, belongs to co-worker Phat Song. 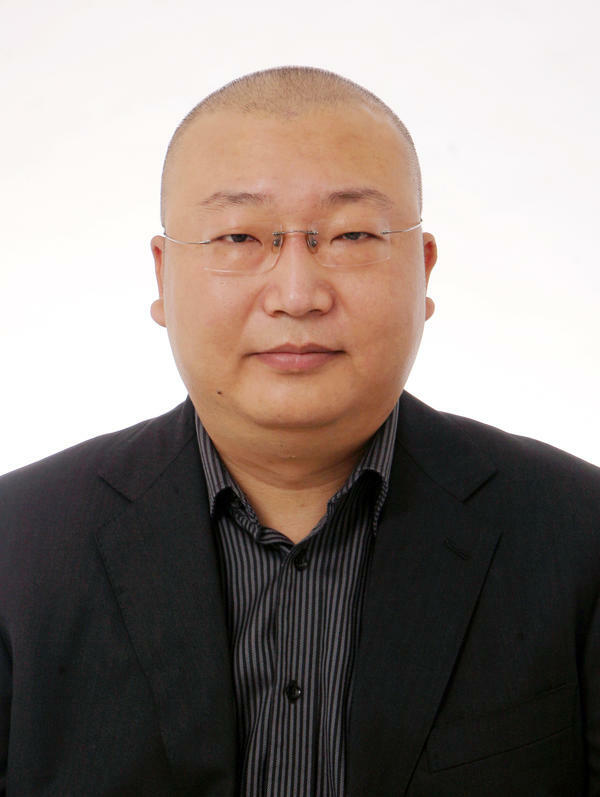 Phat, whose Chinese name is Song Le, says no matter how you spell his name, it suits him. As we speak over Internet phone, he explains. "You don't see me," Phat says. "I'm really fat. I'm F-A-T. I'm really F-A-T."
Phat stands a little over 5-foot-8 and weighs about 220 pounds. He didn't get his name from a teacher; he chose it himself about 15 years ago after drinking with a bunch of Americans in a Beijing bar. "'Phat,' that's the first American slang I learned," he says. "It's a black people's slang. You always use this word to describe something cool." Like many Chinese, Phat was drawn to his name because it was different and a way to stand out in a culture that's changing, but still fairly conformist. He asked his American buddies if it was a good name. "They laughed," Phat recalls. "They said, 'It's weird. It's not a man's name.' I said, 'I don't care, because a name is for people to remember you.' "
Phat says it works. After he introduces himself to foreigners, most never forget. In China, it is not unusual to come across names like this. MONTAGNE: These are all English names adopted by young Chinese in hopes of interacting more easily with Westerners. INSKEEP: But such names sometimes have the opposite effect, so an American entrepreneur set up a new website to help young people in China choose more appropriate names. NPR's Frank Langfitt reports from Shanghai. FRANK LANGFITT, BYLINE: When Lindsay Jernigan was working at her first job in Shanghai, she noticed some of her female colleagues had English names that were just way off. LINDSAY JERNIGAN: These names that as we would see them in a connotation as stripper names for really smart, young women. And so I've heard a lot of people laughing about, you know, there's the Candy and the Cherry and Sapphire, Twinkle. LANGFITT: Other names just created confusion. JERNIGAN: For example, someone's name was Eleven. Scheduling meeting times at 10:30 and then saying that Eleven was coming was causing a lot of issues. People always rolling their eyes like, Eleven, and asking, what's your Chinese name? Can we just call you by your Chinese name? LANGFITT: So Jernigan built a website called bestenglishname.com. For about $2.50, people can take a quiz that uses an algorithm to generate five suitable names. The site has drawn more than 2,000 customers. Recently, Jernigan, who grew up in Memphis and London, showed me how it works. We used my Mandarin name, Feiteng, which means fly swiftly upward, and answered questions by clicking on images on the screen. JERNIGAN: Which sport would you like to play? LANGFITT: Let's say basketball. I used to play a lot of basketball. JERNIGAN: What style would you describe your style? LANGFITT: So we have Justin Bieber to choose - so who are we choosing from here? JERNIGAN: This is a famous Korean star. This is Brody Jenner. He's sort of like a California boy. JERNIGAN: Zac Efron, he's more, like, sporty. JERNIGAN: This guy's a little more rebellious. Jay Chou, a Taiwanese singer and actor. Lindsay keys in answers and voila - the computer kicks out choices for my new English name. COMPUTER-GENERATED VOICE: Drew. Tate. Julian. LANGFITT: Scott Kronick runs Ogilvy Public Relations in China and throughout Asia Pacific. After more than two decades and thousands of Chinese staff, he's heard a lot of unconventional names. SCOTT KRONICK: We had a Popeye, and there's a Robin Hood. LANGFITT: "Popeye" was a very popular cartoon in China, but where do some of these other strange names come from? Kronick wrote about it in his book, "The Lighter Side Of China." He thinks foreign teachers assigned some of these names to students as kind of a joke. KRONICK: I think the English teachers that were here during the time were really having some fun. I mean, I can't imagine where, you know - we have a staff member named Morphine - got his name. LANGFITT: Kronick's favorite name is this guy's. PHAT SONG: My English name is Phat Song. LANGFITT: That's P-H-A-T, though Phat says his name also suits his build. We chatted on Voice over Internet. SONG: You don't see me. I'm really fat (laughter). F-A-T, yeah, I'm really F-A-T.
LANGFITT: Phat, how fat are you? LANGFITT: And how tall - how many - how tall are you? LANGFITT: In other words, about 5'8", 220. If this conversation sounds cruel, it isn't. Among Chinese friends and colleagues, fat isn't an insult. In Mandarin, it's more of a statement of fact, sometimes even an affectionate nickname. Phat didn't get his name from a teacher. He chose it himself after drinking with a bunch of Americans in a Beijing bar. SONG: Phat - the first American slang I learned. It's a black people's slang. You always use this word to describe something cool. LANGFITT: Like many Chinese, Phat liked the name because it was different, a way to stand out in a culture that's changing but still fairly conformist. Phat asked his Americans buddies if it was a good name. SONG: And they laughed. They said, that's so weird because it's not a man's name. I said, I don't care because name is for people to remember you. LANGFITT: Since then, Phat's had many years to change his mind - change his name to something more conventional like David or John, but he hasn't. Phat suits him. Phat is cool. Frank Langfitt, NPR News, Shanghai. Transcript provided by NPR, Copyright NPR.